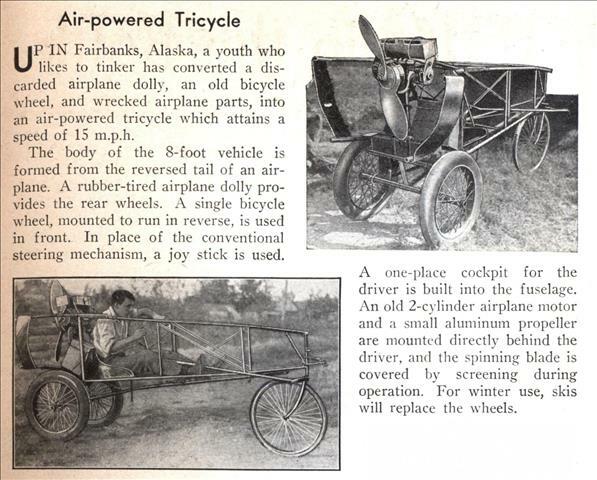 BY MOUNTING a four-bladed airplane propeller on an auto chassis, a Georgia mechanic has evolved a combination vehicle which has attained speeds of 85 miles an hour. 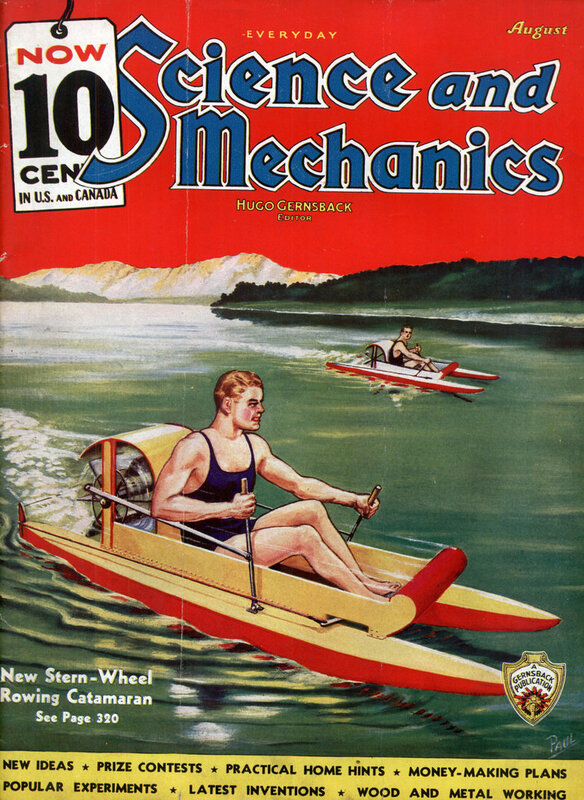 The wheels of the auto-plane are not connected with the engine. 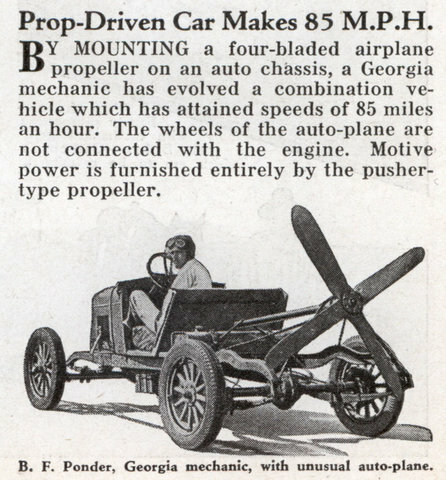 Motive power is furnished entirely by the pusher-type propeller. It may be impossible, but, damn is it cool looking! 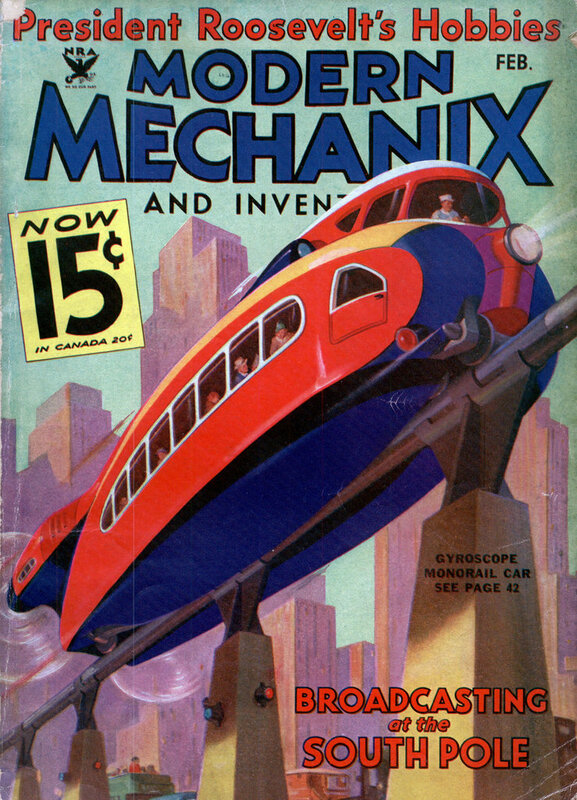 FROM coast to coast by rail in 24 hours, traveling literally on airâ€”that is what W. E. Boyette of Atlanta, Georgia, claims for his invention, a railroad engine that runs almost entirely on air. 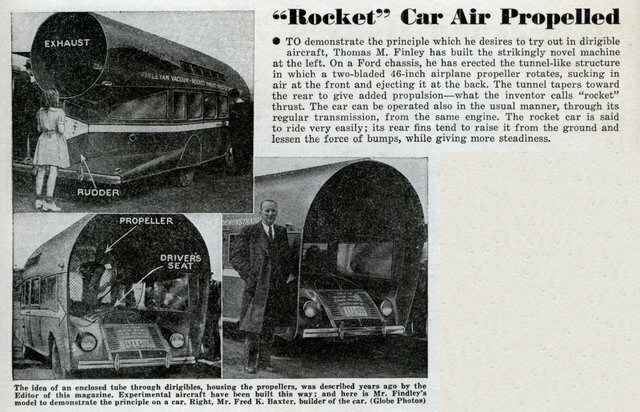 Air for fuelâ€”speeds of up to 125 miles an hour on railsâ€”low transportation costs-â€”these are possibilities conjured by Boyette’s air electric car. 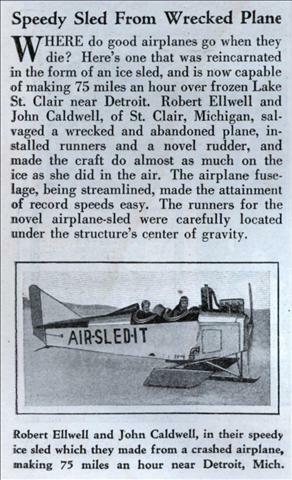 After being started by batteries, the car needs only air to keep it runningâ€”a close approach to perpetual motion. 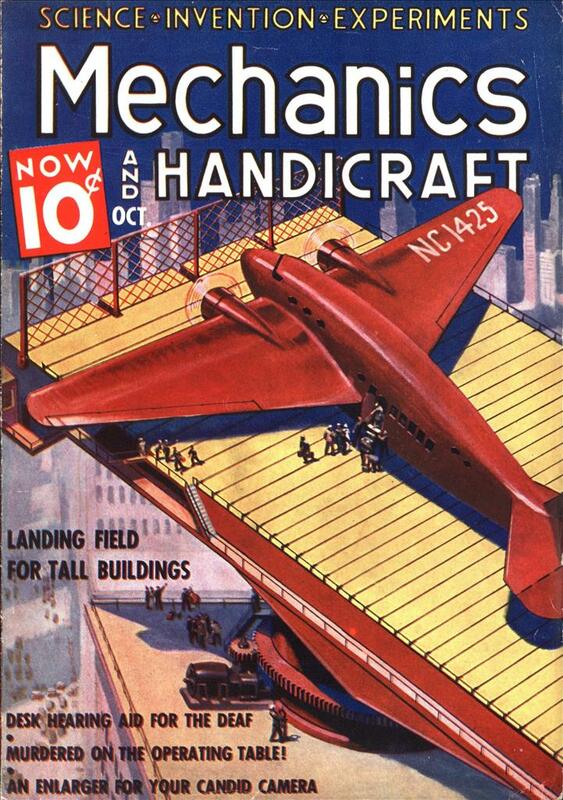 TO demonstrate the principle which he desires to try out in dirigible aircraft, Thomas M. Pinley has built the strikingly novel machine at the left. 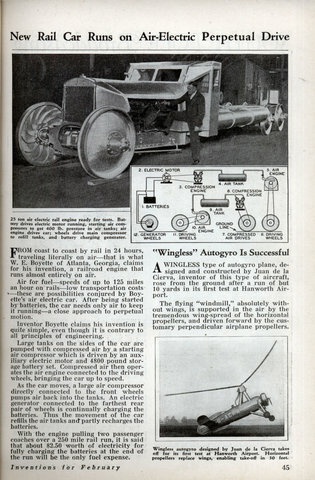 On a Ford chassis, he has erected the tunnel-like structure in which a two-bladed 46-inch airplane propeller rotates, sucking in air at the front and ejecting it at the back. 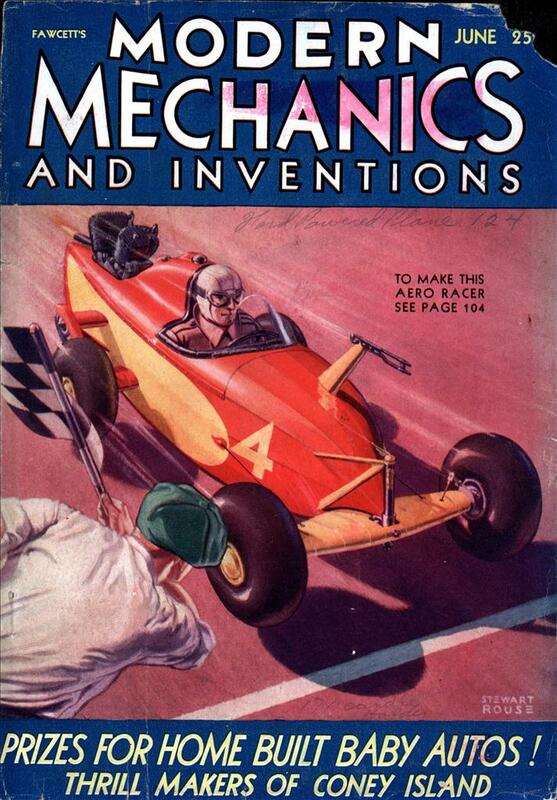 The tunnel tapers toward the rear to give added propulsionâ€”what the inventor calls “rocket” thrust. The car can be operated also in the usual manner, through its regular transmission, from the same engine. 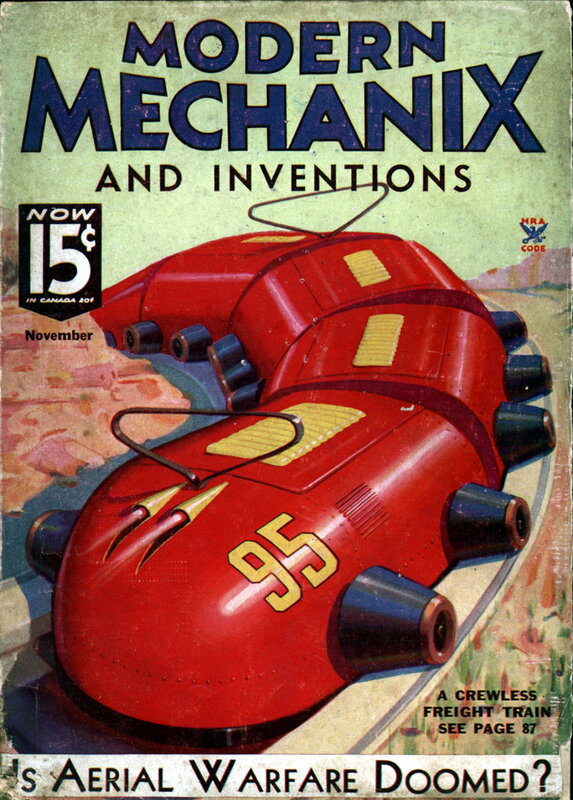 The rocket car is said to ride very easily; its rear fins tend to raise it from the ground and lessen the force of bumps, while giving more steadiness.